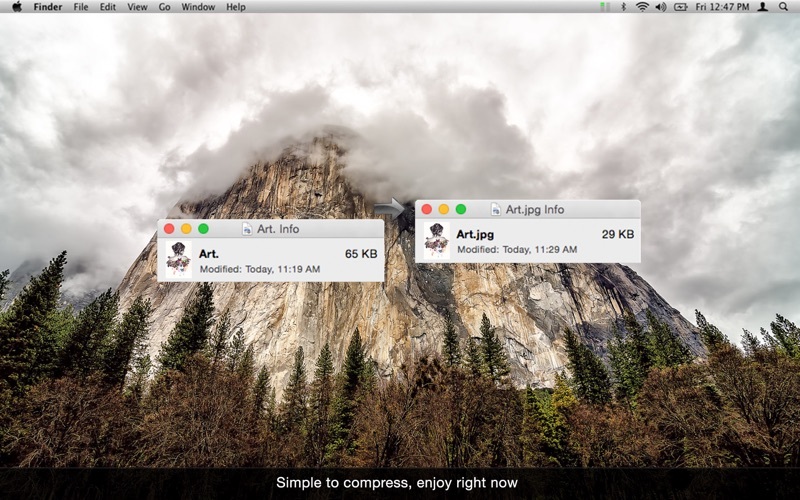 Save space on your computer by compressing your photos/images. 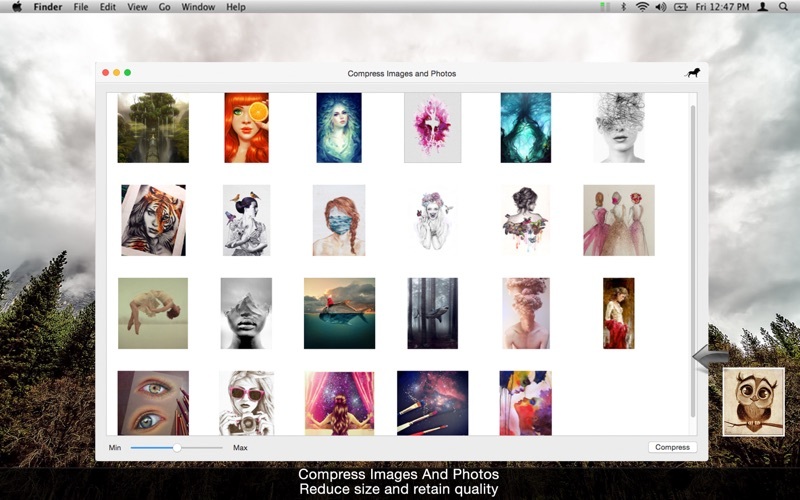 With Compress Images and Photos you can compress a set of photos/images quickly without complex processes. 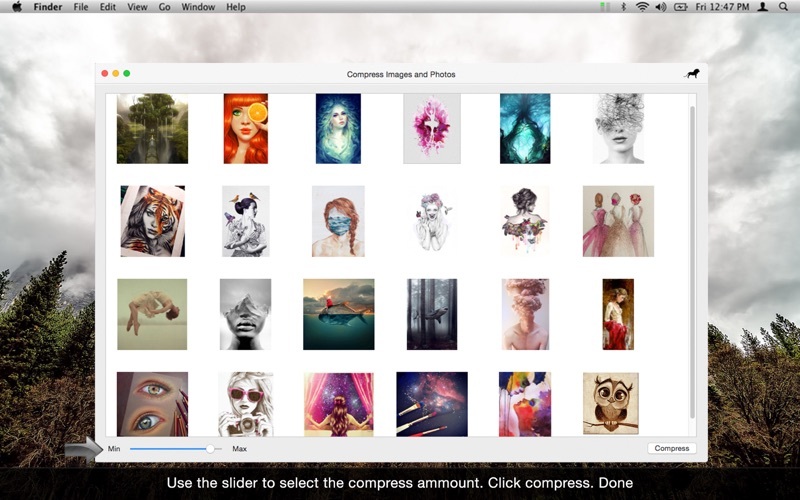 Either to save space on your computer, or to reduce the size to send your photos/images over internet, Compress Images and Photos for you. 1. 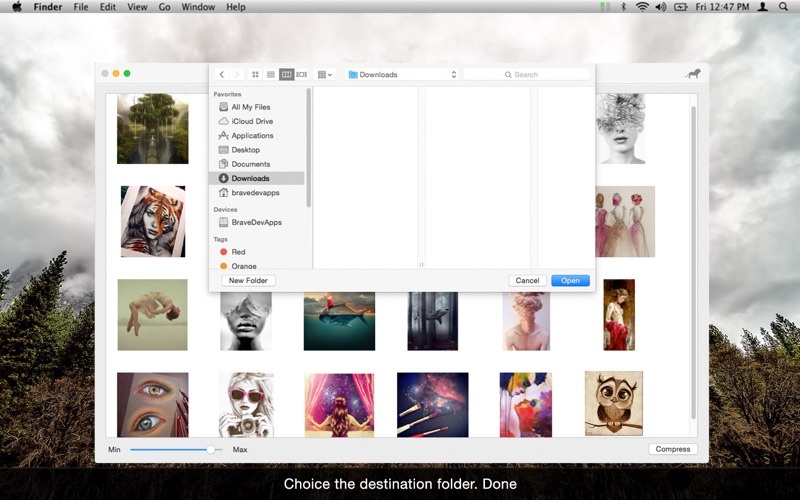 Drag your images in: Select your images/photos on finder, and drag then in. You'll be able to see previews. If you putted an image/photo by mistake, it's also ease to remove, just click on the preview and press delete on your keyboard. 2. In a simple slider, choose between min (Minimum compression), max (Maximum compression) and anywhere between. 3. Choose the directory where your photos/images will be saved. We don't change the originals. Save space on your disk. Save time sending your photos/images over internet.